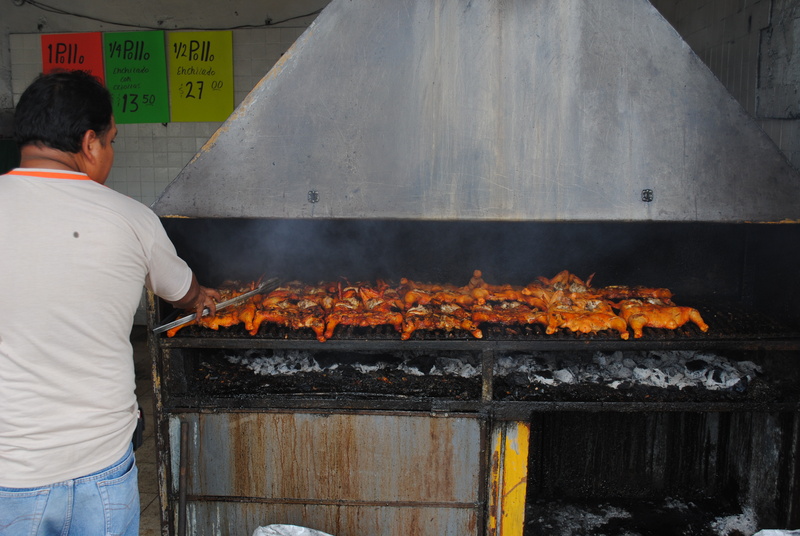 Cooking chicken (pollo) at a steet stand. The exchange rate was 14 pesos for 1 dollar, so half a chicken was $2, cooked. This entry was posted on October 5, 2011 by Terry McMaster. It was filed under Poza Rica .